The Groom. Speechless, at last. Tomorrow marks the beginning of the month in which I will celebrate my 40th birthday. I’ve not yet decided upon a suitable present to myself. Currently, it’s a close call between a new motorbike (black, with big handles, obviously) or a new sound system. A drum-kit seemed too much of a cry for help. 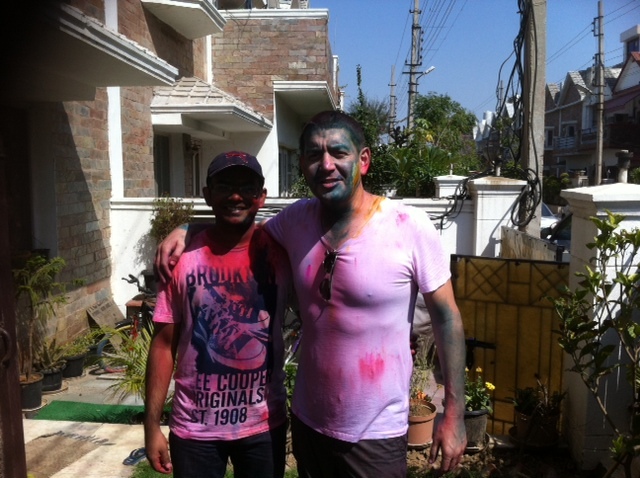 Well, India, Delhi, the Holi Festival, and the workshop I was running all went off well. Delhi is thriving, the weather was sublime, the food delicious and, as you’ll see from the photo below, I managed to pull off a mean impersonation of some kind of overweight commando at the end of an afternoon of celebrating the first day of Spring, in true Hindu style. Memorable stuff. On next to the UK, for some long days of meetings, but intersected thankfully by short snippets of quality time with friends and family. 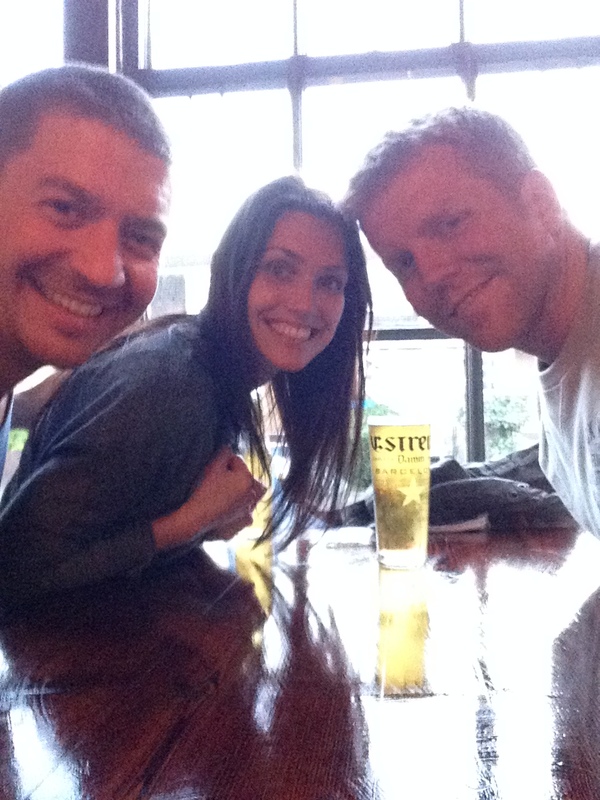 Some of which took place in pubs and involved pints (I miss pints). There was even time whilst I was in London for some swapping of school day photographs on a night out with mates from the Merchant Taylors’ years, circa. 1985-1993. 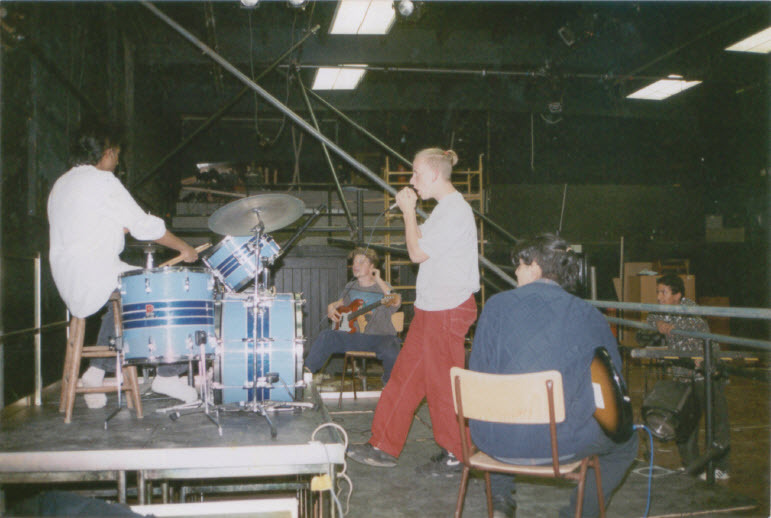 One I can’t help but post being of our fly-by-night sixth form band, Orange Bud. Watch out music seekers, it’s not too late for a 40 year birthday reunion in 2015. 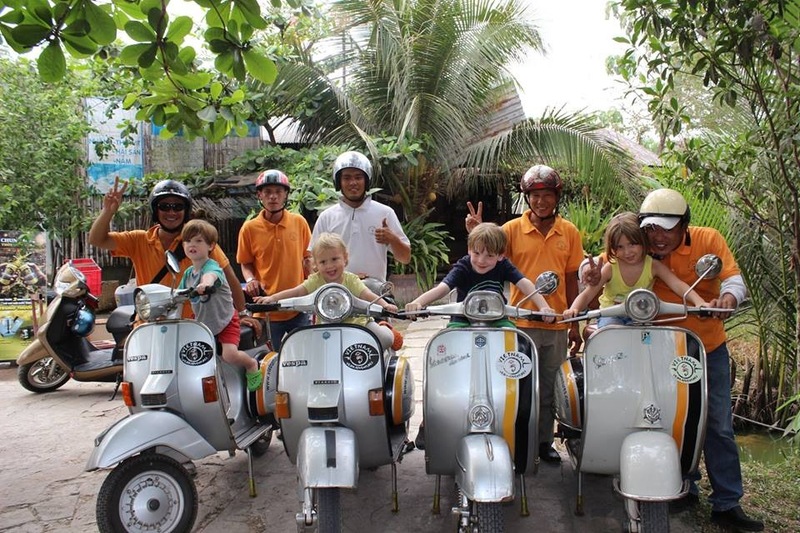 So “local” were the Hellewells, that they can now tick off ‘riding Vintage Vespa bikes in the Mekong Delta with the kids’ from their bucket list. Tomorrow I am off to celebrate a friend’s wedding up in Nha Trang on a stag weekend, over Easter I’ll be playing in a football tournament in Shanghai, and I’ll be up to Hanoi and across to Bangkok for work after that. On the cards for May currently is Beirut and the Philippines (both work) and planning out Martha’s 3rd Birthday party (very much in the ‘play’ category). Happy Easter to you all and, next time, I promise some more words and less bullet points. 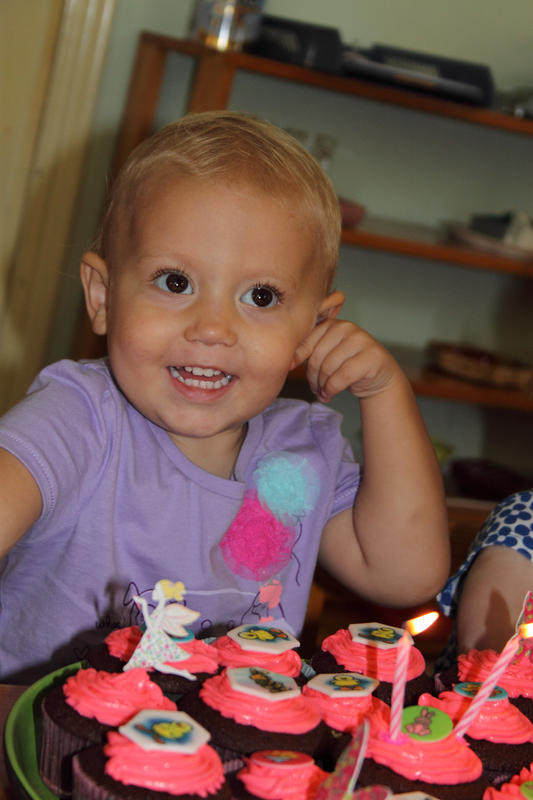 Last Thursday, Martha turned two years old and we threw her a party in our apartment. More photos of this will follow in a separate post (as I am now in India for a week) but suffice to say, as is the form on such occasions, whilst the kids had a blast and generally partied hard, the adults stepped up too, and ensured our “Come from 3:30pm to 5:30pm” invitation instructions were completely ignored! Women’s empowerment: the responsibility of business? Yesterday, I spoke at a United Nations Global Compact event in Delhi, convened by CARE India, and debating the role and responsibilities of business, in terms of how they address women’s empowerment. As catchy opening lines go, it’s very possible that half the readership of this blog (yes, both of you) may not instantly be gripped by the idea of 1,500 words on anything just described. You’d be forgiven for this, of course – it is Friday, a week from Christmas, and there are better things to be doing. There is nowhere quite like India to make you appreciate living life in the present tense. Cherishing the moment, and worrying not what tomorrow might bring. This appears to be the case at all levels of Indian society (in general, sweeping terms) and plays out 1.2 billion times a day in the words, actions and exploits of the second most populated country on the planet. 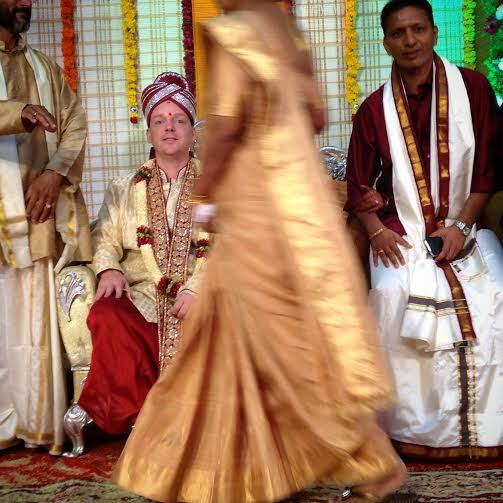 It is also why writing this post whilst I am still in India seems apt. It is currently Tuesday 13th September, and I am at Chennai airport awaiting my flight to Bangkok. My mission here for the past 9 days has been to partake in discussions about CARE’s future role in India, and to visit CARE projects in rural communities.